At the foot of Les Trois Vallées lies the charismatic town of La Tania. It is situated between the prestigious ski towns of Courchevel and Meribel, boasting extraordinary views over Bozel and an Alpine backdrop. The village of La Tania was built in 1990 for the 1992 Olympics to house professional ice hockey players and journalists. Since then, it has grown into a desirable village for property investment. At 1,350m, it is the lowest purpose-built French resort you’ll find, providing an excellent place for ski holidays. 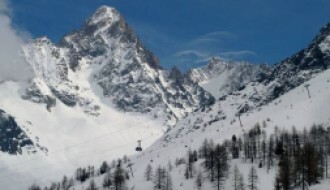 Les Trois Vallées can be very busy, especially the larger resorts, however, La Tania is different. Tucked away from the busier Courchevel it is certainly quieter, but still gives you access to the great bars and restaurants of the larger resorts. With long runs through the trees at the end of a long day’s skiing, it's truly an attractive investment. Buying a property in La Tania will provide you with a lifetime of excitement. From apartments to luxury chalets, this village has a property for every lifestyle and preference. It is often called a small family resort, and this is true, however, we think that it can offer much more. 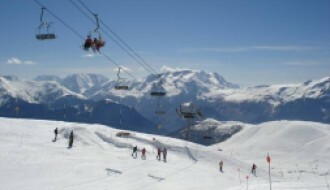 La Tania links to the massive Les Trois Vallées system and is only 2 lifts away from Meribel or Courchevel 1850. Hence, you have a great choice of two world-class ski pistes. From December to April, La Tania provides a great base for you to hit the slopes. Les Trois Vallées offers 1512 hectares of groomed pistes, 600 kilometres in length, 321 marked runs and 130 kilometres of cross country tracks; hence, there is plenty for keen skiers. After your day skiing, there are three runs back down to your La Tania property; a red run with a smooth gradient, a blue roller-coaster run through the trees plus an easy green. Since the resort is at a low altitude there are snow cannons to make early and late season skiing a pleasure. If skiing isn’t your thing, there are plenty of other snowbound activities for you to enjoy like dog-sledding, snow-shoeing, and skidoo riding. The winter will give you an endless variety of activities. When the snow melts, the town does not go silent for spring and summer bring new activities. Various activities like horse riding, paragliding, rock climbing, bowling, and hiking prove this picturesque village is not a ghost town in summer nor winter. Buying a property in La Tania is ideal for those looking to invest in the French Alps. There are numerous apartment blocks and chalets scattered throughout the surrounding woodland, giving the investor a great mixture of assets to choose from. Proving itself as a true year-round resort, a recent investment of €63 million was made in 2016 to build the Aquamotion Centre at Courchevel, which offers residents a sauna, a pool, and other facilities. Hence, away from the slopes you won’t be wanting for anything and with a tightly-knit community, there will always be others to meet. Since La Tania is situated in the middle of continental Europe, the weather tends to be consistent. This means there is lots of snow and powder in the winter and also long spells of warm, sunny weather in the summer. For an up to date weather report, take a look at our La Tania resort guide here. 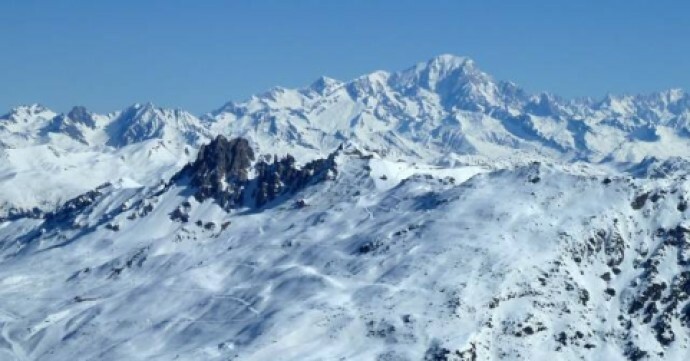 La Tania is easily accessible from three French airports: Lyon, Grenoble, and Chambery, taking 1hr 40mins, 1hr 55mins, and 1hr 5mins respectively by road to your property in La Tania. Alternatively, you can fly into Geneva airp	ort in Switzerland which takes 1hr 40mins. 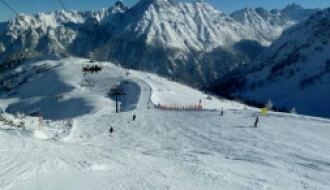 Each airport offers private or shared transfers, car hire, and timetabled buses to La Tania. The village was built for pedestrians and is relatively small, so getting to your property is only a short walk.